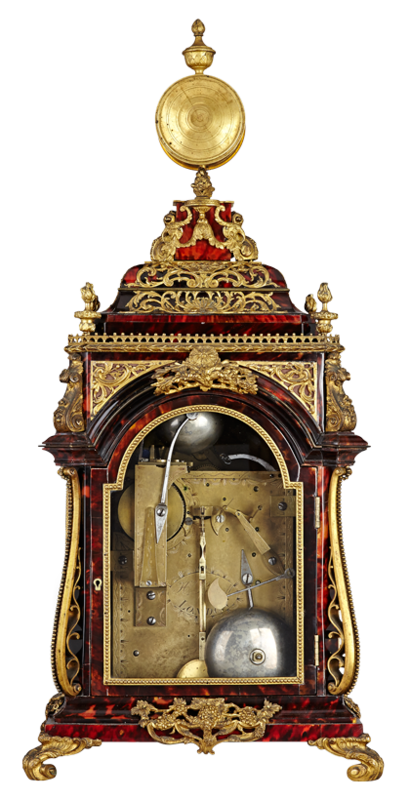 A particularly fine Turkish marketTortioseshell and gilt mounted musical table clock playing music from a selection of 6 dances. This important clock with enamel dial set within a fine translucent enamel dial of wonderfull colours. 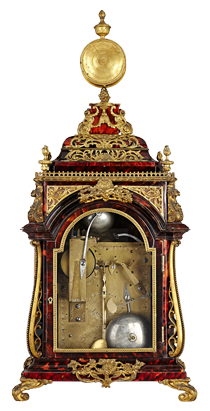 The selected Dance played on 10 bells the hour struck on a further bell mounted to the engraved backplate signed Borrell, London. 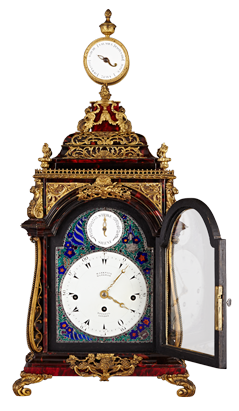 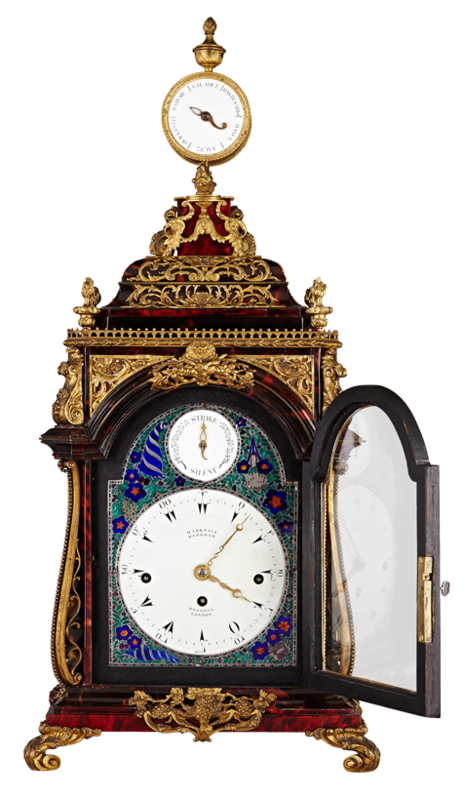 The case with gilt bronze frets and mounts of exquisite quality, the top surmounted with a mounted circular case with the choice of 6 dances to select on an enamel dial. 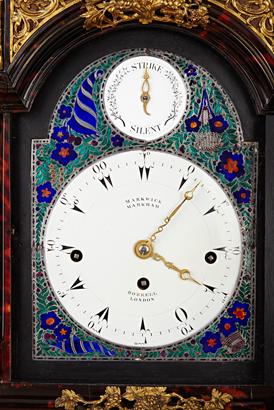 The condition of this fine clock is exceptionaly original and plays the music beautifully and very clear on the original bells.